ICT 2018 – The Institute of Chemical Technology had invited the online applications for admission to Ph.D. (Sci.) and Ph.D. (Tech.) (All Branches) degree programmes (Round II) for the academic year 2018-19. The applications had to be filled online at the official website at ictmumbai.edu.in. as per the schedule. Now the entrance test marks for both Ph.D. TEch. and Sci. has been released. Candidates can get complete details on ICT Mumbai Admission 2018 (Round II) from this page. Latest: Interview for Ph.D. (Sci.) in Physics is scheduled for February 13, 2019, scroll down to check details. The whole process will include written tests and interview. First, let’s check the courses for which the exam is to be conducted. The candidates can check the important dates below to learn about the timetable. Schedule for the ICT entrance exam 2018 (Round II) is given below. Click here to check details for Intervuiew of Ph.D (Sci.) in Physics. Click here to check Time Table of Online Entrance Test (Round – II) for Ph.D. (Tech. and Sci.) programme. Result for the various programme have been released, candidates can visit the official website to check the entrance test marksAlso, direct links to check the same has been provided below for the ease of candidates only. 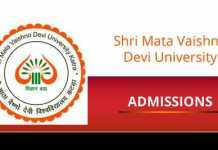 Click here to check Round II Entrance Test Marks for Ph.D.Tech Admission. Click here to check Round II Entrance Test Marks for Ph.D.Sci. Admission. 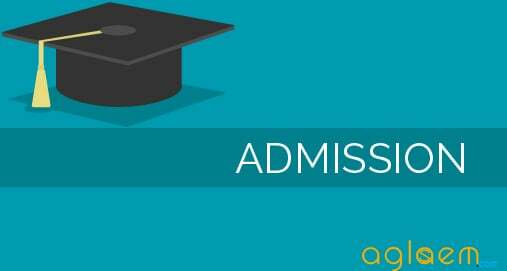 The aspirants who wish to appear for the entrance exam must ensure that they fulfill the academic qualification and other eligibility criteria for admission. The list of eligible and non eligible candidates for CT Mumbai Admission 2018 are provided below. Click here to check the list of Not Eligible Candidates for Entrance test in Direct Ph.D. The application is made available online only at the official website of Institute of Chemical Technology at ictmumbai.edu.in. The application form can be filled for doctoral programmes up to the date prescribed for the courses. For the ease of candidates, direct link to apply online is also provided below. The application process will be completed in Six steps. Follow these steps provide below. The candidates will be required to enter the information such as Date of Birth, Address Details, Mobile Number, Cast, Category, Scanned Photo. Here the candidates will be required to fill in the details of their education starting from 10th to graduation. STEP III Entrance Exam Details. Carefully select the entrance exam in which the applicant has appeared, Enter the Application Id, Roll Number, Sr. No., Grade, Percentile, Percentage, Score and Rank etc. STEP IV Scanned Copy of Marksheets. Keep the scanned documents ready for uploading. Here the mark sheets starting from 10th till graduation will be required. The applicants must upload here the certificates such as caste certificate, category certificate, migration certificate and domicile certificate. The payment for the fees can be made online using net banking or credit/debit card. Syllabus for various Ph.D courses will be release by the Institute of Chemical Technology for the entrance exam that is going to be conducted. Syllabus will help the candidates for the preparation for the admission 2018-19. This syllabus is given here as per the last session only for reference purpose. Click here to check the syllabus for Ph.D (Tech.) in Electrical Engg and Electronics. Click here to check the syllabus for Ph.D (Tech.) in Chemical Eng. Click here to check the syllabus for Ph.D (Tech.) in Dyes. 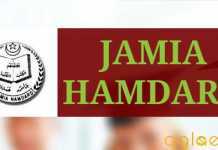 Click here to check the syllabus for Ph.D (Tech.) in Food Engg and Food Biotechnology. Click here to check the syllabus for Ph.D (Tech.) in Mechanical and Plastic Engg. Click here to check the syllabus for Ph.D (Tech.) in Nanotechnology. Click here to check the syllabus for Ph.D (Tech.) in Perfumery & Flavour Tech. Click here to check the syllabus for Ph.D (Tech.) in Polymer Engg. & Tech. Click here to check the syllabus for Ph.D (Tech.) in Textile. The admissions will be done based on written test and interview for all the PG courses and doctoral programs. However, in some cases the candidates will be exempted for appearing into the written test. This process will take place in two levels. Level I- out of the students who apply for the admission, a merit list will be prepared for the candidates who have a valid score of GATE exam. For these candidates, there will be no written test however it is mandatory for them to appear for the interview. Once these candidates have opted their choice of course and there are still some seats remaining, only then there will be a level 2. Level II- will contain the list of the students who do not have GATE exam score and thus they will have to appear for the written test as well as an interview. The dates will be updated soon. The candidates are advised to visit the ict website regularly for accurate dates. ICT 2018 Counselling will be held for the admission of candidates in various courses. All the information regarding counselling will be updated here. Candidates are advised to check all the information regarding counselling from below when it will announced. Merit lists will be available in PDF file format. Candidates can check them from the official website. Official Website: www.ictmumbai.edu.in. 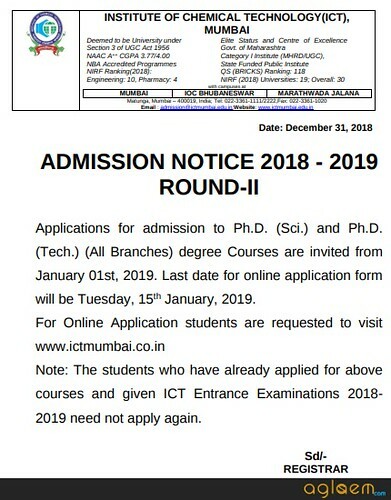 For more details on ICT Mumbai Admission 2018, download admission notice.